/ What Helmet for Mountain Biking? In a cyclist’s world, there’s no bigger adventure than conquering the toughest terrains while riding a mountain bike. Why? Because nothing compares to the thrill it provides. However, there’s no doubt that mountain biking can be dangerous. That’s why cyclists are always advised to wear a safety helmet. Any old helmet won’t do—you should choose a quality helmet specially designed for mountain biking. In this article, you will learn what helmet is the right one to wear for mountain biking. You will learn what the factors and qualities to consider are when shopping for a new bike helmet. You should start with understanding helmet safety standards. When looking for a bike helmet, you should always make sure that follows the standards of the Consumer Product Safety Commission and other certifying organizations. This guarantees that the bike helmet can protect you from high impacts should you find yourself crashing into a tree or falling from a height. Most of the certifying organizations follow the same protocol before they give their certification. They test whether the bike helmet can indeed withstand a minimum g-force of 300 Gs, which is a force that can leave you unconscious. While there is no bike helmet that can guarantee your safety on the trails, it is still paramount to look for one that is tested and certified. If you want to know what helmet for mountain biking will be the right one for you, try it on. The best one to pick is often the one that fits your head best. Bike helmets come in different shapes and sizes just like how people have different head circumferences and shapes. This explains why some will fit your head better than others. Thus, you cannot just rely just on how a helmet looks or choose from the small, medium, and large sizes. Look for bike helmets with an adjustable strap or rear stabilizer so you can get a custom fit. Also, make sure that the strap is tight and strong enough to hold the helmet. If it moves an inch or more while you pedal, then it is not adjusted accordingly. Other features that affect the helmet fit are chin pads, lining and foam padding. Two of the most important parts to check before considering the vents and other features are the outer shell and lining. This is because their quality and construction greatly determine the level of safety and comfort of the helmet. Many manufacturers use a polycarbonate material for the outer shell because it is smooth and lightweight, not to mention it can withstand heat and impacts well. As for the lining, EPS foam is widely used because it is good at spreading the energy created by a crash so you don’t feel the pain in one area. If it is just a minor crash, you won’t feel pain at all. EPS foam comes in different densities. If you are mountain biking, you will want a harder density EPS foam which is meant for high speed. This is an essential feature not only for mountain biking helmet but in all helmets. The vents aren’t there to make the helmet look cool, but rather to keep your head cool. They are ports that allow the entry and exit of air, preventing your head from soaking in sweat. Considering the thickness of the lining and the plastic shell, the protective layers are sure to get in the way of airflow. For this reason, it is better to pick a mountain bike helmet with larger vents. However, make sure that there are enough vents because more vents means denser foam, and you already know what foam does for protecting your head. 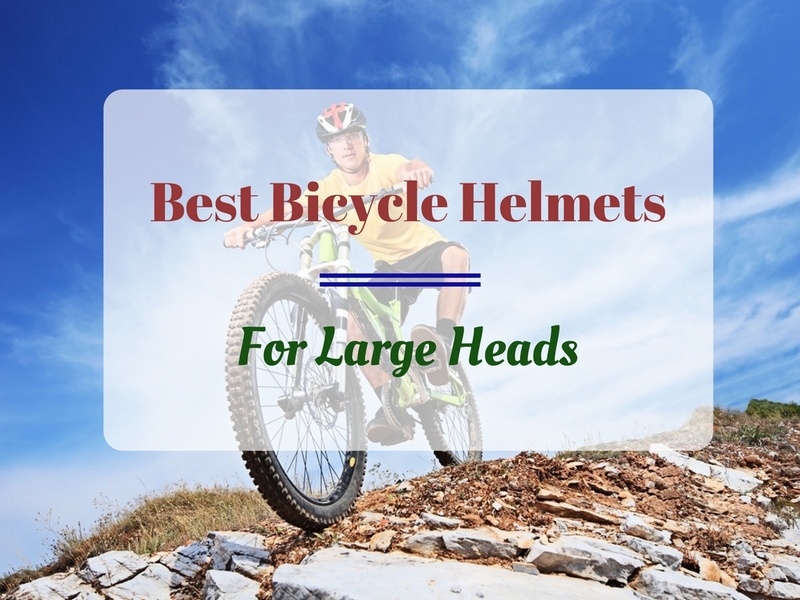 The above factors are three of the first things to check when buying a mountain bike helmet. The rest of the features that the manufacturer will list in their product description are for added convenience. Many helmets will include a visor, camera mounts and goggles as well. It’s important to prioritize the protection a helmet offers, but of course you also have to choose a style that you like. The good thing is, there are many helmets on the market that come in different colors and designs to choose from.